The crappy SLR lens for those who must have that "Instagram look"
As photography-lovers, we tend to covet good glass. Good glass == sharp photos == potentially good photos. But what if you subscribe to the Instagram School of Photography – and like your focus spot-sized, your colours distorted, and your contrast way off? 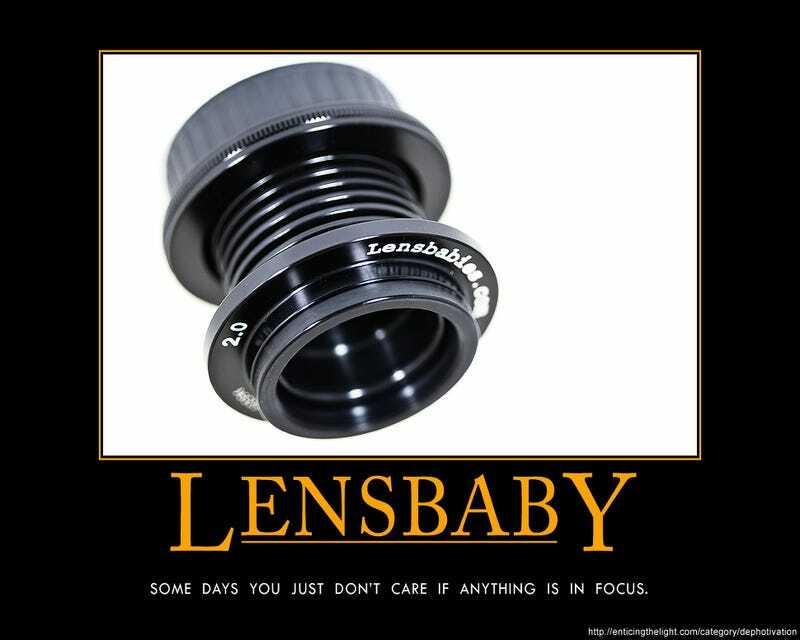 Well, there's a crap-on-purpose SLR lens out there just for you, then: the Lensbaby. A Lensbaby is an example of a simple lens, which you manually focus and hold in place with accordion-like bellows. They produce photos with generally poor contrast, directional blurring, and only a small focus sweet-spot (which isn't particularly sharp and requires some practice to nail down). To focus on distant objects, you compress the bellows; yank on them hard and the results can be almost macro-like. On the Original Lensbaby, the aperture is fixed, but you have the option of inserting different-sized cutouts behind the glass element to get a smaller aperture. Let's see your Lensbaby shots!